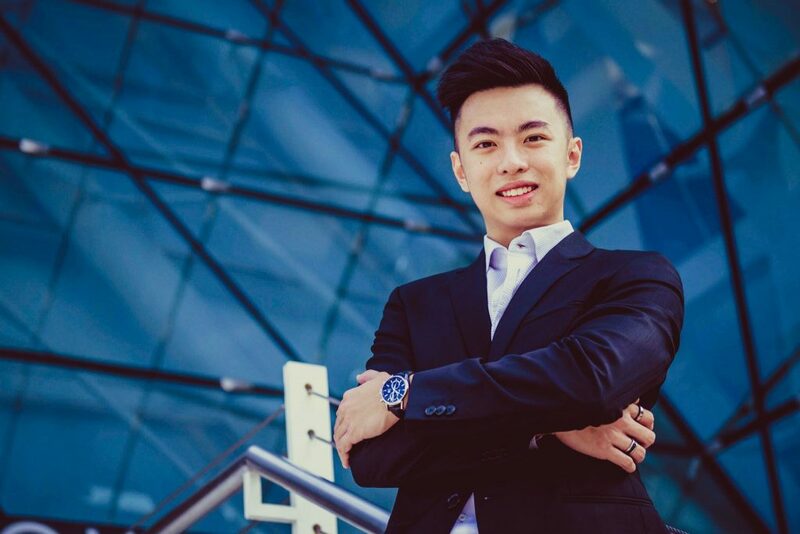 The Luxury Network Singapore’s C.E.O, Ms Irene Ho interviews Mr Bentley Cheng, Executive Director of Vision Advisory Management and Founder of Vision Advisory App. Ms Irene Ho: Hello Bentley, thank you for agreeing to be interviewed. Please, could you give a brief introduction of yourself and Vision Advisory? Mr Bentley Cheng: Sure! Thanks, Irene, for having me here today, it is a great honour to speak to you. Let me start by sharing a little part of my childhood which made who I am today. I am deeply inspired and motivated by my parents since young. My dad, Mr Tony Cheng, Founder and C.E.O of Vision Advisory Management (VAM), has taught me the values of life and through his hard work of building VAM alongside with my mom, Ms Joleen Ong, from nothing. I remember there was a day when I was in kindergarten, my mom told me that the business was not doing very well, and I had to transfer to a public kindergarten due to financial constraints. Being young and ignorant, I made a big fuss and my parents gave in by skimping on their own expenses to pay for my school fees at the private kindergarten which was very unaffordable for us at that time. As I grow older, memories start re-enacting themselves when I was in secondary school. That was when I learnt the importance of money and the sacrifice which my parents had made for me to become who I am today. It was also during then where I know that I must not disappoint and waste the effort which my parents have spent on me. I started investing in equities during my secondary school days with the guidance of my dad and moved on to online retail in my early polytechnic days. Building something new, especially if it is a disruptor, thrills me internally. It is something I truly love and would enjoy every moment of it as long as it is profitable or at least would potentially change one’s life. At times, some might find my ideas eccentric or might find me being too engrossed in the existing project, but I live on a very simple Chinese phrase since young, “要做就要用心做，不用心就不要做 “, which means to always do your best and if you do not plan to do your best, do not even start. 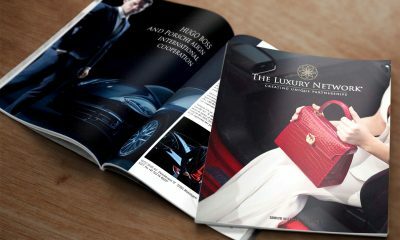 Vision Advisory, I think most of it has been shared by my dad during his interview with The Luxury Network previously. (laughs) I am really looking forward to being back in the company after my national service and, I wish to bring the company to greater heights in the near future. I believe, with the new generation coming up, growth potential is limitless not just for VAM, but for the upcoming start-ups that I am currently working on. Ms Irene Ho: You recently launched the Vision Advisory App. What is the purpose of this App? Mr Bentley Cheng: Vision Advisory app aims to provide users with a 24/7 mobile app access to their insurance and investment summary while enjoying the features catered to their needs. This includes bringing together the best retailers and service providers from different industries. Users will also be able to gain access to formulated financial calculators capable of calculating retirement funds, life protection coverage and many more! Basic general insurance such as travel insurance can also be purchased through the app directly with the partners. Ms Irene Ho: How did you arrive at this idea to create this App? Mr Bentley Cheng: It all started in 2016 when I was 19 years old and a year 2 student in Nanyang Polytechnic. I was required to set-up a business proposal as a part of a school project together with my classmates. As the team leader, I identified that the fastest-growing industry at that point of time was technology and in specific, mobile application. My team and I attempted multiple ideas for the project and from there, it became a habit. Something that I enjoy, innovation and creating new businesses that can potentially change one’s life. The constant hunger for success along with the huge potential and my team’s capabilities motivated me to think of a way to turn our potential business idea into reality. Thankfully my dad gave me the opportunity to work on a dream which he had. To create a revolutionary platform to help families who are unaware of the insurance purchased by their loved ones and the all-in-one app for users to find any deals and services that they would require with just a tap. With the help of a team member, we developed a business plan and draft in less than 2 months with Vision Advisory’s help in providing us with a focus group to gain a better understanding of the financial service industry. With the main focus being the financial service industry, I feel that this category of the app will carry the most important for users. With more than S$150 million of unclaimed insurance as of 13 January 2016 (as reported in The Straits Times), the insurance profile function in my app will allow family members who are also users to view their next-of-kin insurance details upon user’s approval while they are in a clear state of mind. Ms Irene Ho: What challenges have you faced specifically because of your age? How has your age helped you to succeed? Mr Bentley Cheng: The main challenge I had was some companies did not take me seriously when I approached them with the idea of a partnership and at times during meetings, my decisions might not be deemed reliable due to my age. During this journey to become an entrepreneur, I was judged (laughs) quite a bit whenever I speak to investors. “Are you still studying? Is this a school project?” are questions that I frequently receive. Starting this journey since I was 19, being young means I have the advantage of time. Quoting from Jack Ma, “As entrepreneurs, today is very difficult. Tomorrow will be even more difficult.” I am not afraid of adversity, all I need is a strong will and loyal team to follow me through this journey, making a difference in the society and hopefully, building a unicorn start-up one day. Ms Irene Ho: What advice would you give an up-and-coming entrepreneur? Mr Bentley Cheng: It is important to always have the support of your family members and the ones who are close to you as there are times where things would not go as planned. Take a leap of faith and never give up, because you never know if you are close to success. Lastly, always remember, adapt and innovate, or risk being obsolete.